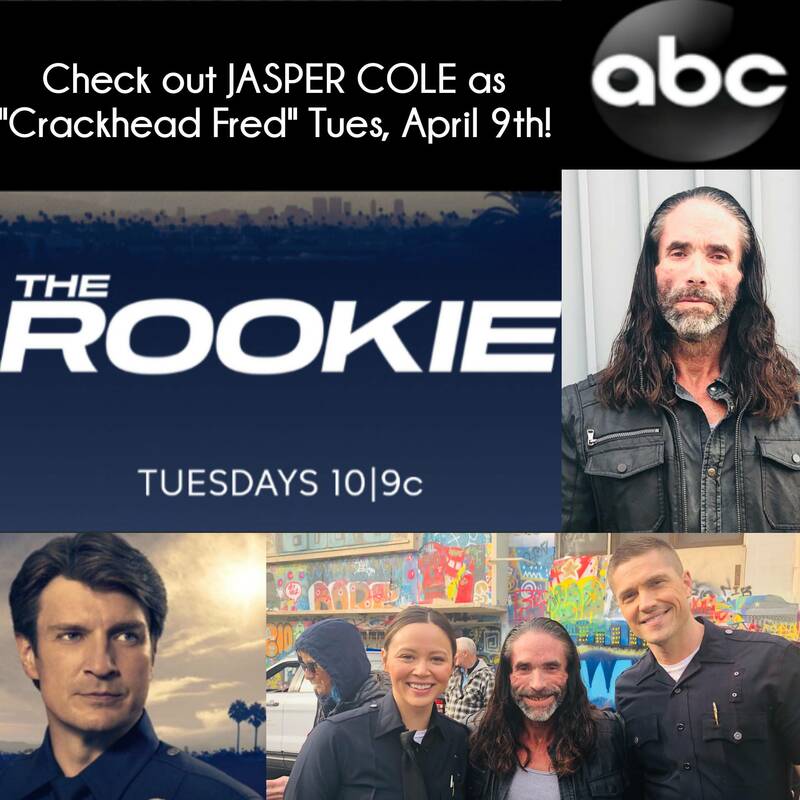 Hollywood’s top bad guy, Jasper Cole, guest stars in ABC’s popular show, The Rookie, tonight at 10pm PST/9pm Central as Crackhead Fred. His larger than life career spans various mediums like stage, film, and TV and touches millions of fans around the world. 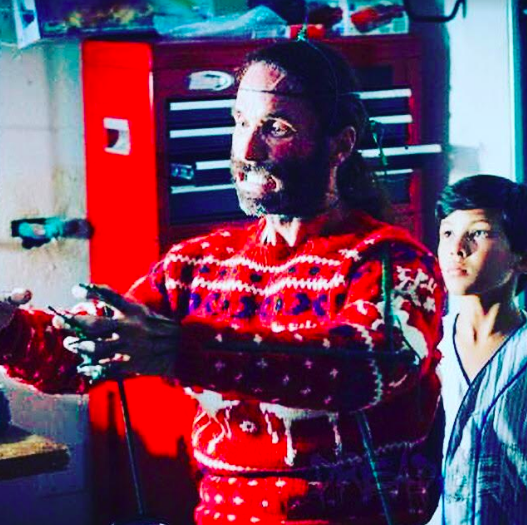 As a multi award-winning veteran character actor with over a 100 TV/film credits, Cole continues his villainous streak having co-starred in the box office smash hit film, The Purge: Anarchy as a “Homeless Man” produced by Michael Bay and Jason Blum, in Captured, as “Shelly” starring Brittany Curran and Kristin Prout and Model Home as “Walker” opposite Emmy winner Kathy Baker and Monique Gabriella Curnen. This Athens, Georgia native also played the lead role of “Bad Cop” in the horror/thriller Savage Sistas and as “Dark Butler” in the horror film Spirits opposite Lynn Lowry as well as “Peter” in Awaken The Shadowman, starring Jean Smart. He appears as “Jacques De Leon” in the new CBS Drama, Training Day, opposite Bill Paxton. He also guest starred in American Horror Story and booked roles on Baskets and WestWorld. Watch for him as “Goobler” in the series Palamino & Swissy.” He also played a “Homeless Man” opposite Tatiana Ali in the TV movie, Second Sight. He was seen in the third season of Brooklyn Nine-Nine as “The Oolong Slayer” opposite Andy Sandberg and Andre Baugher. This prolific actor also co-starred in the hit horror film, Hansel & Gretel as “John”, iconic actress, Dee Wallace’s son. 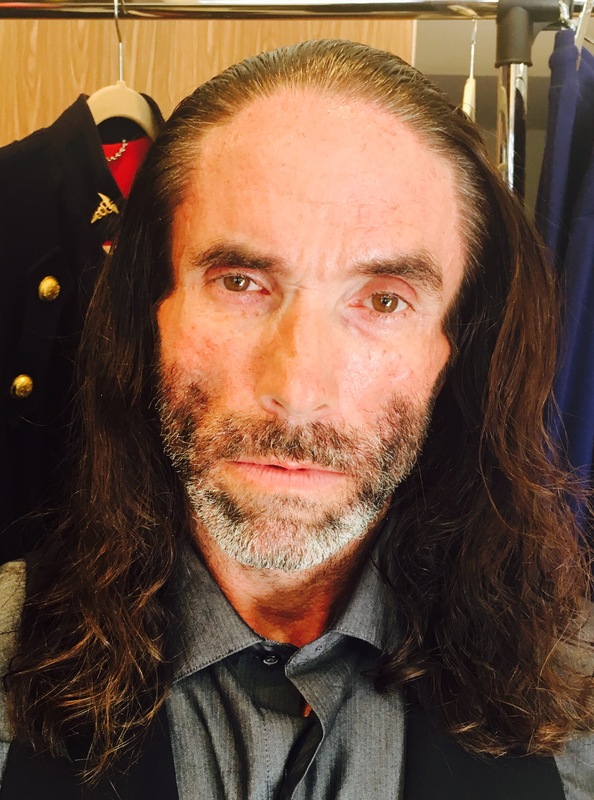 Jasper has appeared in dozens of theatrical productions and national TV commercials and has guest starred on some of television’s top shows,including, C.S.I., MarriedWith Children, Saved By The Bell, Touched by An Angel, Party Of Five, LaFemme Nikita, Tales From The Crypt, Baywatch, Pacific Blue and Clueless. Jasper has obtained critical acclaim for his work on Michael Eisner’s Emmy Nominated series, Prom Queen, his unforgettable stint on Everybody Hates Chris and his recurring role on the ABC series, The Forgotten, starring, Christian Slater. He has also guest starred on HBO’s hit series Funny Or Die Presents and appeared regularly in various comedy sketches for The Tonight Show with Jay Leno. Film and TV audiences will also remember Jasper as “Reno”, the bad cowboy, in the award winning Showdown at Seven commercials for the popular movie website, Fandango, and he appeared in the popular national Direct TV commercials opposite Rob Lowe. 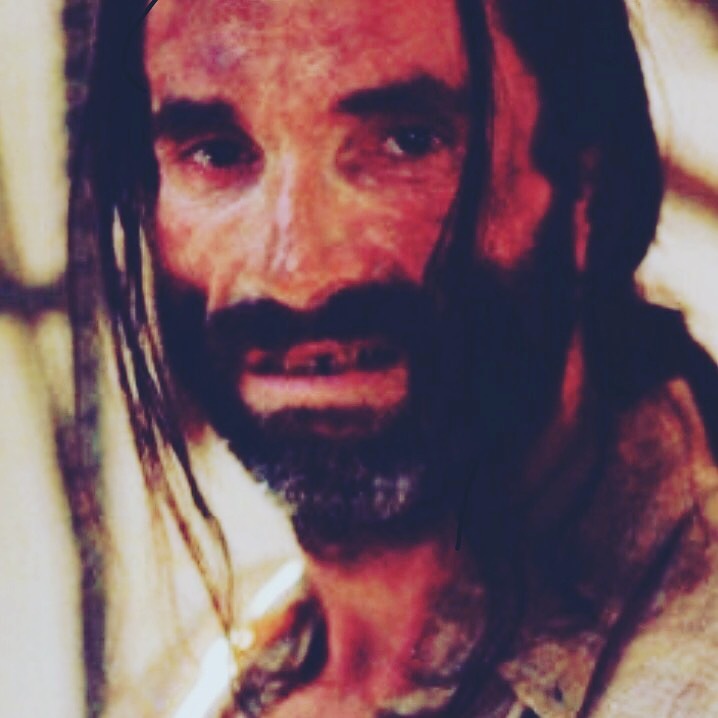 You can see him worldwide as a Pirate in the 1-800-contact commercials as well. Nickelodeon fans know Jasper as “Oswald” in the final season of their hit series Victorious and he appeared in several episodes of the hit syndicated series, Outlaw Empires. Once established as Hollywood’s “bad guy”, it was a matter of time before Jasper graced the big screen. 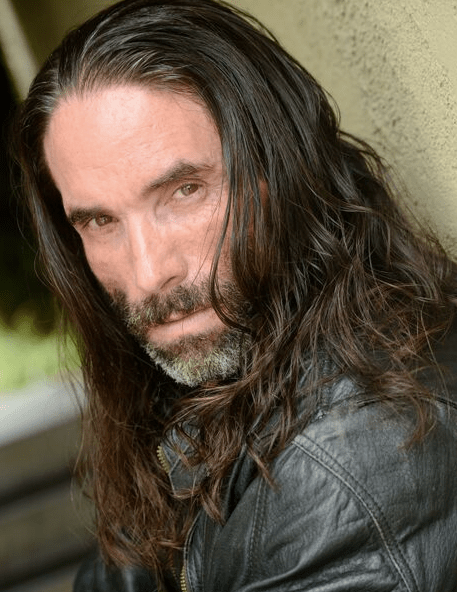 He has appeared in multiple films such as 18 Again, Alien Nation, Get Your Stuff, Friday the 13th Part VIII, and Urban Assault-Tko. This talented actor flaunted his sinister side and became an International sensation as Val Kilmer’s sidekick, “Zeke Pleshette” in the blockbuster MacGruber alongside Ryan Phillipe, Kristin Wiig and Will Forte. The film has gained cult status on DVD and TV. He also starred in Mike Bruining’s Dark Sacrifice. Cole is also the host of the nationally syndicated Radio/TV show One On One With Jasper Cole, which is currently in its’ third season.